Fascia – What is it? Rolf movement works with the principles of Rolfing and enables us as Rolfers to work with clients through an educational process so the client is able to come to a new understanding and heightened awareness of the patterns they have developed deep in their body and its inner habit patterns. The Tonic function theory from Hubert Godard, has become the accepted frame within which a Rolfer trained in Rolf movement intervenes with the client at the functional, coordinative and perceptual level. It is a system of movement education to orient a person in gravity. Working with verticality, breathing and walking by using different modalities of touch, gentle guidance, body use and language, the client can begin to relearn and integrate movement so that they achieve more balanced and efficient patterns of movement. Movement becomes more economical, thus freeing energy and this enables the person to be free from everyday aches and pains. Rolfing Movement opens the vectors, orienting the feet to the ground and the arms and the hands to the space. It also orients the head towards the sky giving more comfort and alignment in the neck and shoulders. As we use our eyes to see the world it helps to know where our head is positioned so it is supported in a soft and relaxed way. Movement education helps to bring awareness to an up/down, side/side, back/front balance as well as an inner and outer balance. Rolfing Movement also harmonises the coordination of muscles and muscle groups, the superficial and deep structures, enables economic movement and increased range of motion. Rolf movement is often integrated into the Rolfing sessions but can also be used as a stand alone session during the ten series if there is a need to explore a particular area of the body in greater depth. 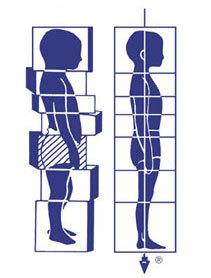 Rolf movement can also be taken as a series of sessions after the Rolfing ten series is complete. re-educates the body’s movement patterns and changes the neurological pathways so the new patterns are retained. helps guide the client from being bound in tension patterns to allow them to have free and well integrated movement. helps clients become more aware of the old and new patterns of movement, so they are better able to integrate the work as movement patterns shape the body’s physical structure. emphasises the kinetic or motion aspect of our body. gives more depth and awareness to how we move and how to include this new learning into our everyday life for more economical movement and increased energy levels. Rolf Movement sessions are up to 90 mins in length.